This interactive map focuses on homeless students who are currently enrolled in our District. It allows readers to visualize the amount of students in every campus in our District who do not have a stable residence and the percentage each campus holds based on the District count as a whole. 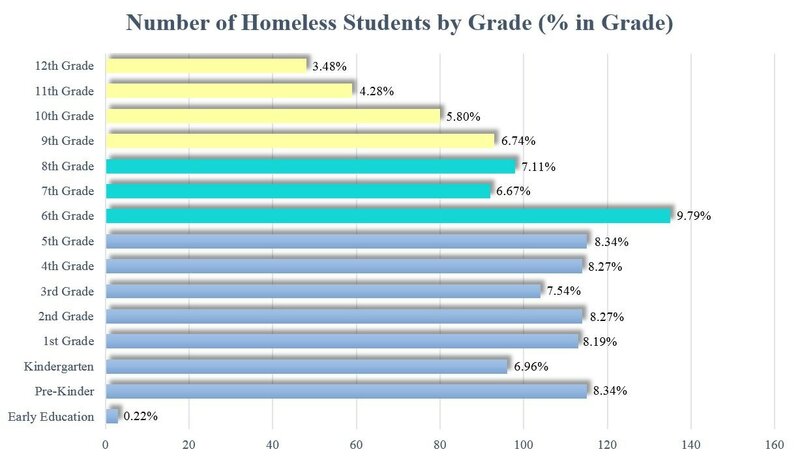 This data chart depicts information in percent numbers of students per grade level who are currently facing homelessness.